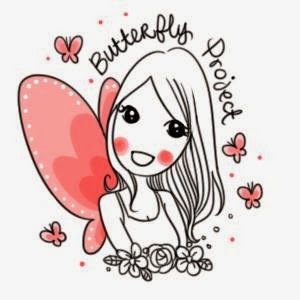 First up, I will be blogging about my experience with Mireica® nutri-peau, the first and only internal skincare with stem cells epigenetic factors for perfecting from within our skin. 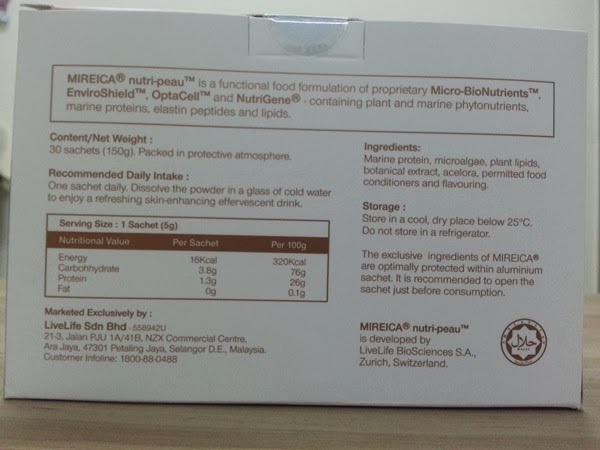 In simpler words, MIREICA is the first and only nutricosmetic fortified with Swiss bio-nutrients for skin stem cell. More advanced than ever, MIREICA takes internal skincare beyond collagen, anti-oxidants and sun protection, to a new and higher level, incorporating nutrition for skin stem cells. Extracted from a rare plant species, MIREICA’s stem cell extract provides nutrients to strengthen and stimulate our own skin stem cells to produce new skin cells. Strong healthy stem cells are the secret to “perfect” skin cells for beautifully flawless skin. NutriGene® – a ‘skin blueprint’ stem cell extract, that protects and maintain the function of skin stem cells and insure longevity of skin cells, to help our skin perfect from within. OptaCell® – a ‘skin hydration booster’ ingredient, that improves the skin’s water retaining ability, restore optimal barrier function, replenish essential skin lipids, for a moisturized and supple skin. EnviroShield® – a ‘skin defense shield’ ingredient, that strengthens internal defense against sun, environment and oxidative stresses, and regulates melanin production, pigmentation and age spots, for an overall brightening and radiant effect. Micro-BioNutrients™ –a ‘skin building blocks’ complex, that stimulates biosynthesis of skin collagen, skin elastin, intercellular matrix and lipids, thus improving skin elasticity, firmness, smoothness and tone. 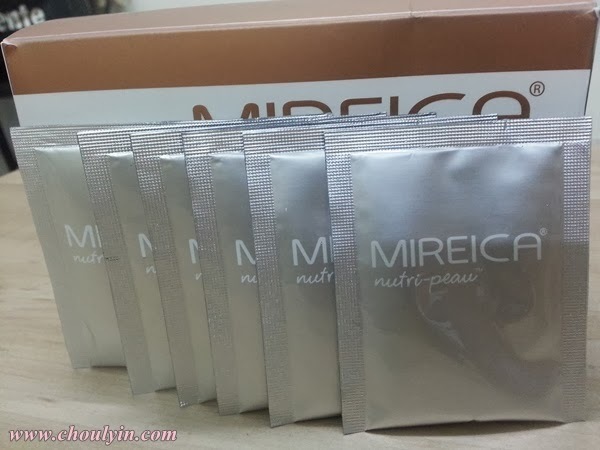 Suitable all skin types and women of all ages, MIREICA® nutri-peau will help improve the skin’s hydration, tone, firmness, vitality, youthfulness and reduce fine lines. Over time, your skin will also be strengthened, rejuvenated and be better protected against environmental stresses, premature photo-ageing and chronological ageing. 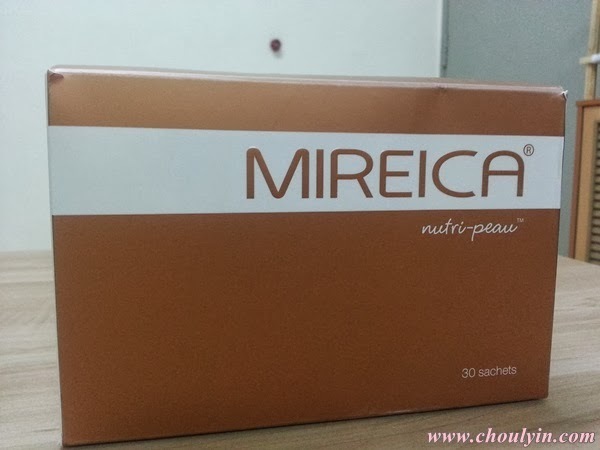 Mireica® nutri-peau™ is available in packs of 30 sachets in powdered form, sufficient for a month's supply. Pour the powder into a glass of super cold water, and you can see it bubbling as it dissolves. When I first took it, it had the smell of seaweed and it took a few days of getting used to the taste. 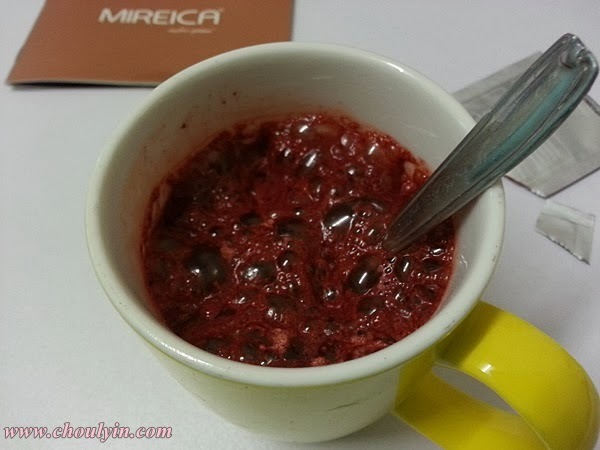 I later found out that the ‘fishy taste' of MIREICA comes from its natural ingredients derived from marines(fishes), marines plants and plants, TOTALLY NOT SEAWEED AT ALL!!! lol. 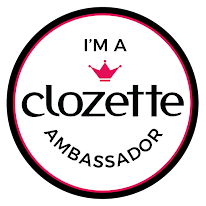 As we know, these ingredients are really good for the skin and can really help in rejuvenating it and promoting skin stem cell activity. A pic of me after a month of taking MIREICA, with just eyebrow pencil, eyeliner, and lipstick :D What do you think? any difference? Verdict: Though the fishy taste of the drink was quite overpowering the first few times, I actually quite liked it after taking it a few times. 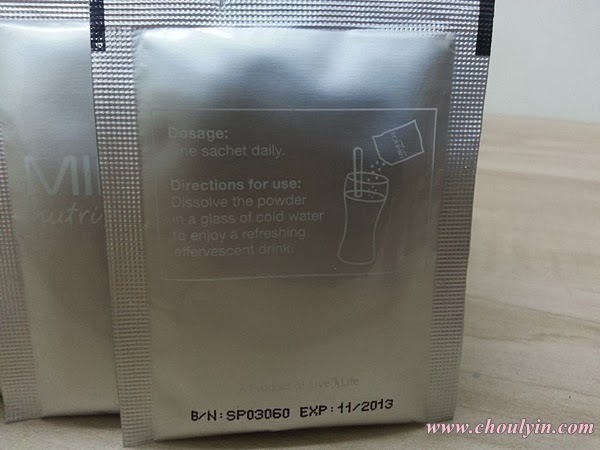 It was a really refreshing drink and I could see the difference in my skin after drinking it for only two weeks. 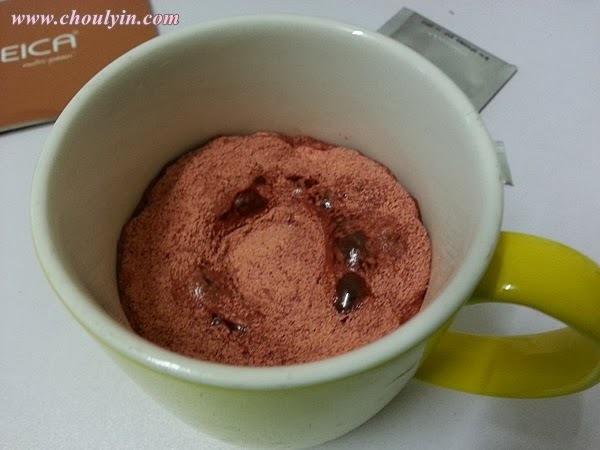 Additional Comments: I think it is a great drink to be consumed if you want more youthful skin in just a month. 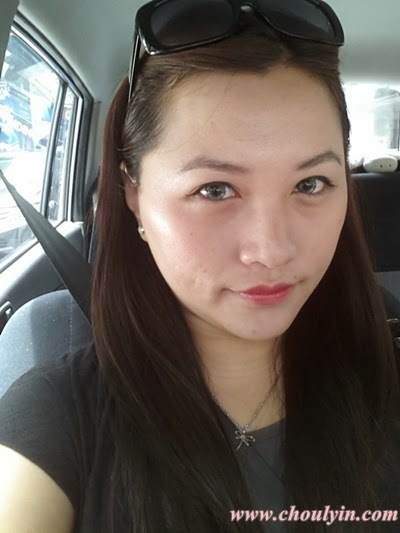 I could feel that my skin was more hydrated, and has a brightness in skintone that was not there before. MIREICA retails for RM178 and you can get it at any Guardian, Watsons, Caring, Alpha, Healthlane, Vitacare & independent pharmacies across Malaysia. You can also get it online at www.plincco.com. For more information just head on over to www.mireica.com or their Facebook page! Looks chocolatey. Does it taste like choc?